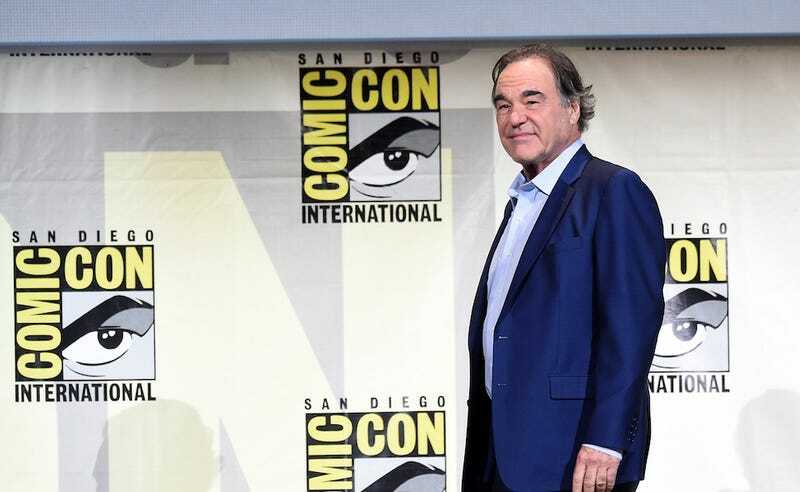 Director Oliver Stone shook his fist at all those darned Pokémon Go players today, calling the game “a new level of invasion” and warning that it could lead us down a slippery slope to totalitarianism. The diatribe, which occurred at Comic-Con during a panel discussion for Stone’s new film Snowden, is vaguely reminiscent of conversations with an older, slightly batty uncle. “It’s not funny,” Stone said, according to the Los Angeles Times. He then asserted that the game is simply the latest form of “surveillance capitalism.” Oh, Oliver. To be fair, the comments didn’t come entirely out of left field—Snowden, after all, is a film about surveillance and the creeping power and presence of shadowy government bodies. But the level of 1984-like paranoia here is quite impressive. Then again, the NSA reportedly banned Furbies back when they came out, so perhaps Stone got confused and thinks it’s 1999.